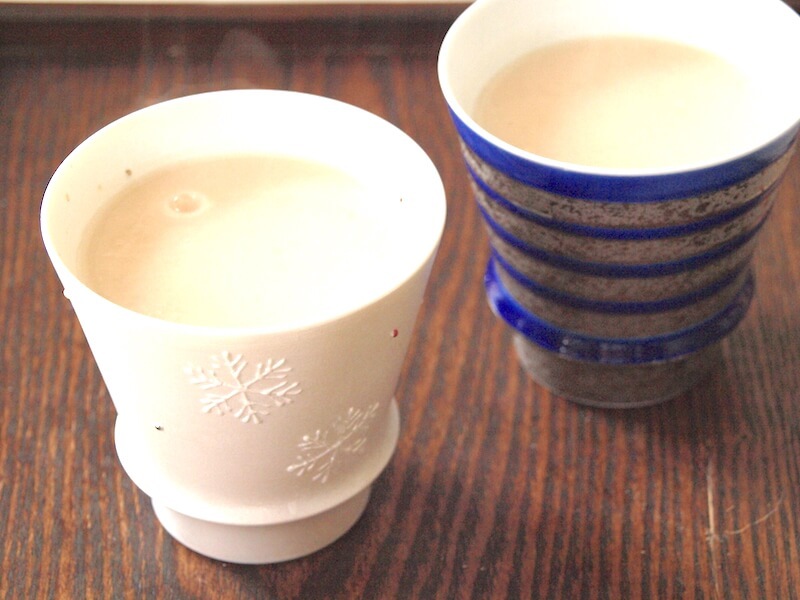 Amazake, which is a Japanese traditional sweet drink made out of fermented rice, is one of these fermented foods. Amazake has the same ingredients as hospital medical drips, such as Vitamin B1, B2, B6, Folic acid, Dietary fiber, Oligosaccharide, Cysteine, Arginine, Glutamine, and Glucose. Because it contains Vitamin B’s, it promotes the metabolism of the cell generation and to activate the skin cells’ turnover so it is drunk by Japanese women as a beauty drink. Also the Koji (mold) contains Koji acid, which inhibits the production of melanin, so the drink has a skin whitening effect. Japanese women also use Amazake as a face mask as well as a drink because of this skin whitening effect. The dietary fiber and oligosaccharides in amazake also promote smooth bowel movements, which eliminates rough skin condition. To make Amazake, Aspergillus oryzae is added to cooled whole grain rice causing enzymes to break down the carbohydrates into simpler unrefined sugars. As the mixture incubates, sweetness develops naturally. Amazake is really good because which you can buy from Japanese grocery stores. It is a delicious, sweet drink that can be served both hot and cold! Mix with Milk or Ginger or Lemon to drink is good too. Find your own taste and have fun drinking Amazake for your daily beauty care. [ Drama WOMAN ] Oshin is a young girl born into a poor peasant family in Yamagata and is traded as a servant to another family for one bale of rice. 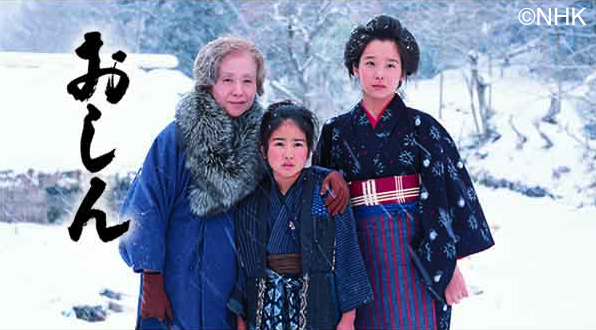 Taking place in times of great upheaval between the Meiji period and the post-war Showa period, this drama builds on the themes of war and peace, of what it means to be a woman, and of family bonds as Oshin faces life’s hardships.